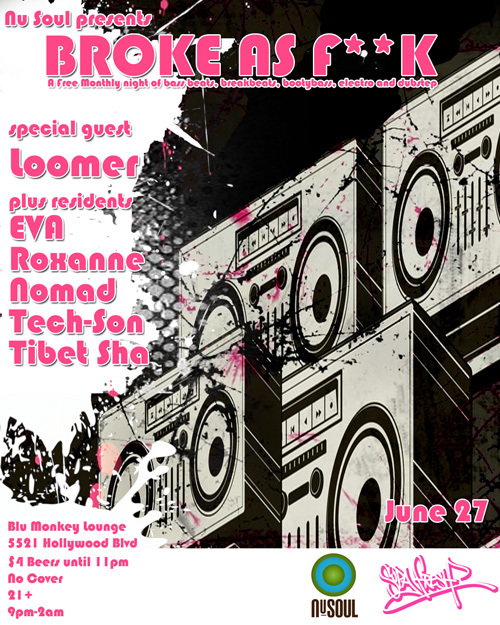 So we are still at the Blu Monkey this month rocking the beats at Broke As F**K. The Blu Monkey and the whole block its on are getting torn down but the demolition has been delayed until the end of the summer . So get your BASS on. It's FREE this Wednesday June 27!